“Longman”, brand of LONGMAN INTERNATIONAL GROUP CO., LIMITED, is professional on stage and entertainment lighting products. Since established in 2005, Longman brand has earned high fame among many developed countries and regions around the world. As a global leading brand, Longman lights have been widely used in many professional occasions, such as TV station, concert etc, especially in 16 of total 29 exhibition halls during Thailand-Asean Expo in 2012. After years of development, Longman has set up integrated distribution system to turn into one of the world-known lighting products. Longman Brand fuses a variety of light source and optical technology, integrate the use of moving-head technology, utilize ARM inner core control platform, ultra-high refreshing rate and completely mute and heat dissipation technology as well as good capacity and high reliability to create various colorful stage projects for users and project engineers, meanwhile, it has been the first choice for all kinds of directors and top-level lighting gaffer for various control systems. Culture of Longman Brand is through intensive research and innovative application technology, better meet our clients’ increasing aesthetic taste with our excellent featured products. Longman Brand positions it to focus on stage performance and conform to art-level needs. As the daily improving new light source, we have independently researched and developed multiple new optics, keep improving for our clients with professional products in deductive concept and construction cooperation. Longman brand through LED technology development , Provide non-linear imaging, linear imaging, cone with light, oval with light, zooming cast light, high intensity light axial, surface shading and other product solutions optically. Longman brand launched 3 in 1 full color RGB stage product in 2008 , in 2009 introduced the first generation zoom technology dyed product, in 2010 launched LED Gobo Moving Head Light, in 2011 launched moving head beam lights 3 in 1-ACW can changeable color temperature stage lights, and lithium wireless control Par light, in 2012 launched Artnet control products and second-generation zoom dyeing moving head , narrow 8-degree angle spot uniformity mixing of products, in 2013 launched 6 in 1 full color RGBAWUV stage lights, 2014 launched 12 pixels 25W COB indoor light and 6 pixel 25W COB outdoor lights, in 2015 launched the 410Cd / lm intensity LED super spotlight. Longman stage lighting products have been widely recognized by customers around the world. In good technical base, Longman invested a lot of energy and foreign cooperation in art research and accumulation, and introduced the concept of a growing number of cross-border products, The stage lighting technology to the city's light show, etc. more extensive outdoor application. A wide range of ideas among international and domestic colleagues, customers, technical genre and art genre on Longman’s platform to generate new prompted technology and broaden the application of new ideas to lead new movement in culture and art . Longman took the lead in putting forward the concept of ‘Dramatic architecture and Landscape lighting’ and extended out another brand named‘LedmeWish’. Our team follow the company's international strategy and actively participate in PLASA, ESTA, IALD and other open events at the international and domestic exhibitions and forums, and the first to absorb the international advanced concepts, the introduction of the latest industry protocols, Artnet and RDM and apply to the latest products. After a review of global standards, found no quantitative assessment of global indicators Spot mixing uniformity, chromaticity proposed standard deviation SDC concept, as a corporate standard Longman of this evaluation method was more and more industry experts , peers and customer acceptance. In terms of industry personnel training, Longman recruit graduates and interns from various well-known technical colleges and universities each year, the major performing arts class universities and major Academy of Art, where a large number of outstanding graduates become Longman and the backbone of the team's new blood let Longman brand has been considerable development. Our service team based in Guangzhou, United States, South Africa, Australia, Singapore, Thailand and other dealer system was established and continues to expand. We have already established regional offices in Beijing, Shanghai, Chengdu, Xi'an in China. Longman cooperate closely with director, lighting specialists team, design and engineering firms from all over the world . 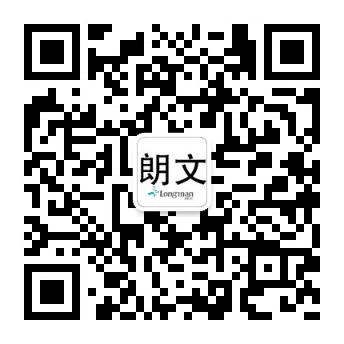 And provide customer with full project regularly, innovative, comprehensive and reliable solution support, including the simulation of static and dynamic of stage, product customization, fast delivery on-site support for Large engineering etc; Longman will make every efforts constantly with all circles together to create beauty with light !